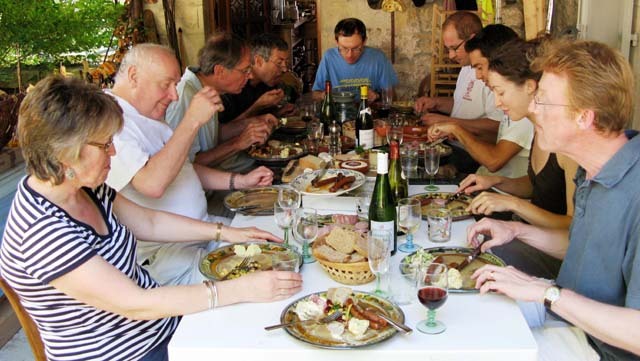 What I really want is an independent UK oriented bread forum where serious bakers (of any standard or experience) can communicate with other bakers. But the only way this is likely to happen is if I do it myself and I don’t have time or the technical knowledge to do this, so I’ll do what I didn’t want to do and start a blog. My name is Mick Hartley. I’ve been baking bread since 1992 when I gave up smoking. I gradually learned about sourdough and totally stopped using commercial yeast several years ago. My current white starter is just ten years old – first mixed in October 1999 – not that I set any store by the age of starters. I seem to have been always involved in baking forums. After a weekend course with Andrew Whitley at The Village Bakery, Melmerby in 2000 he asked me to moderate Bread Matters, his bread forum. I didn’t really get the hang of moderating; instead of standing back I took a lead in initiating argument and debate, getting involved in fights with religious nuts who thought bread had some sort of spiritual meaning, and the whole thing got out of hand to the extent that Andrew closed it down. Then came Malcolm Osman’s Breadbakers.net, and excellent forum with much lively debate and some pretty hairy recipes. Six or so years ago Dan Lepard set up his forum. Even though I had doubts about the independence of a forum owned by one eminent baker, I was an active contributor from shortly after it started. We had been on apparently friendly terms for several years but he took exception to an attempt at humour on my part and was clearly not open to any sort of reconciliation. When I said I would no longer contribute to a forum whose prime purpose was to promote its owner, the door slammed and was triple bolted faster than you could say “up yours”. Of course, as my mate Jeremy said, “it’s his forum and he can do what he wants with it. ” My point entirely and the reason why an independent forum is needed. An important strand of what I’ve been involved in has been the annual baking events that started with Bethesdabakin’ in August 2007. I started off trying to organise it democratically by committee but that wasn’t really practicable and anyway I’m a crap team-player, so I ended up doing it largely by myself with help from James Langton and my partner Sue. 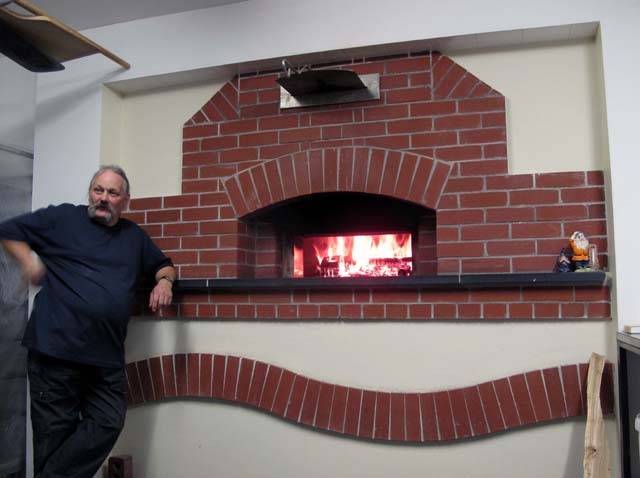 Dan Lepard generously contributed a day’s instruction and Rick Coldman built his amazing prefabricated brick oven. However, as I discovered, the event is not the programme but the people who take part. Since then we had the astonishingly opulent one organised by Brad Presance in France last year (he paid the German baker who taught us with a cured wild boar ham), and this year Rick entertained us in his bakery in South Wales where we had the rare opportunity of baking in his beautiful 5ftx7ft Alan Scott oven. All three have been totally wonderful and totally different. 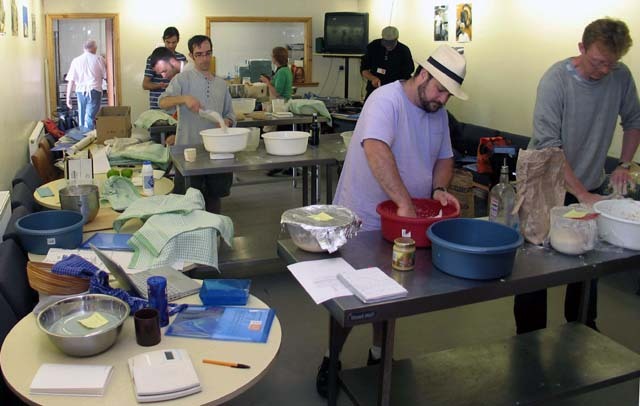 The principles they are based on are that the events are for participants (not observers), and are open to bakers of any standard and experience who want to exchange ideas and bake together. They are based on shared costs. 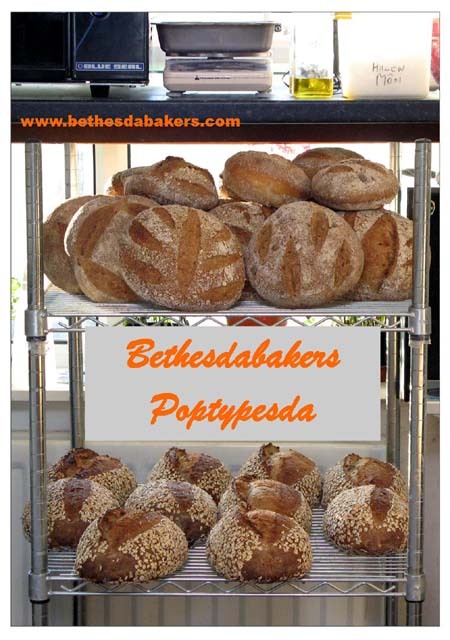 The main strand of my baking life at present is Bethesdabakers, the world’s smallest sourdough bakery in that mythical moist village in North West Wales. Mythical because for years I’ve been developing a myth about an area so famous for producing sourdough that San Francisco only comes a close second. Moist – well, as I write, the wind is storming, the rain is lashing the window, there’s a power cut and I have a full day’s order in proving baskets. The ovens are cold and the first batch should have gone in 20 minutes ago. The fourth baking strand is the book, tentatively entitled “Bread of Leaven”, which I’ve been writing for two years – no that’s a lie, I haven’t touched it for over two years. In 2007 we had two months in France supposedly to get it written but it was so nice it took me four weeks to get started. By the time we had to come home I was working really efficiently. Two years baking for profit has completely changed my perspective so what I have already written needs totally revising plus there’s everything I’ve learned in the past two years. So, the plan now is to go to France for three months early next year and knock it off. Pas de probleme. Honest.